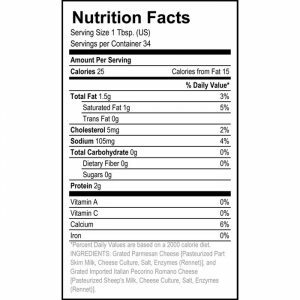 Cheese is all you’ll get….No Additives, No Preservatives, No Cellulose, No Fillers! 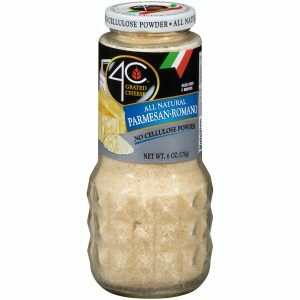 4C Shredded HomeStyle Cheese is the perfect blend of nutty Parmesan & sharp, explosive Romano. Delizioso!!! Cheese is all you’ll get….No Additives, No Preservatives, No Cellulose, No Fillers, No Wood Chips! 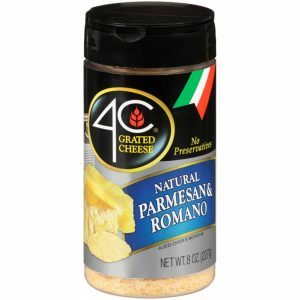 4C Grated Cheese is the perfect blend of nutty Parmesan & sharp, explosive Romano. Delizioso!!! 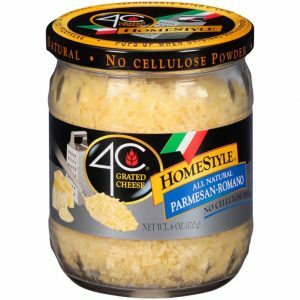 When you need a blast of flavor, this 4C Grated Cheese is the perfect blend of Parmesan & Romano Cheeses. 4C Parmesan/Romano Cheese is !00% Natural with No Preservatives. The 8 oz canister includes a shaker top for your shaking pleasure. Aged over 5 months.